Home » Entertainment » QUIET PLACE: Did the Survivors and Filmmakers Forget SOCKS? 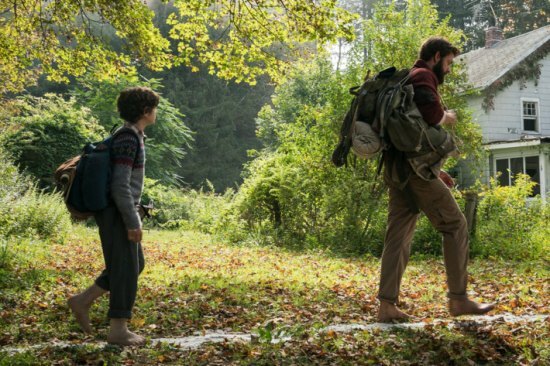 QUIET PLACE: Did the Survivors and Filmmakers Forget SOCKS? When "Jurassic World" opened, the strong woman general manager persona equated a power suit and dark heels. So, when the reptiles begin escaping, you kinda overlook the executive trouncing around the compound without turning an ankle. It's a testimony to the Ginger Rogers dance statement that women do everything men do "only backwards and in high heels." Bryce Dallas Howard's Claire had business appointments scheduled before her nephews are trapped with the reptiles. She won't let Chris Pratt search alone and , frankly, she's had the same outfit on all day. 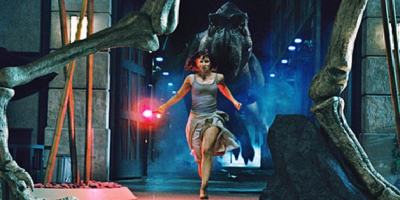 "I do remember when she's running from the tyrannosaur thinking this is super impractical. But at the same time, the movie never has her roll an ankle and have to get rescued. It never has her break a heel. It never shows her stumbling in mud. It never does the whole "let's laugh at this dumb woman in her dumb woman clothes" thing. She's dressed appropriately for what she has to do that day. I just thought, you know what, why wouldn't she be wearing heels the whole time? She doesn't have quick, easy access to any other shoes and she wants to save her nephews. She just toughs through it." However, when June comes Howard returns to the island wearing BOOTS, not heels. "A Quiet Place" has the opposite problem. The jump all night in your sleep mostly silent survival monster thriller resonates due to its concentration on the ordeal of one family. The barefoot tip toeing quietness as they wear parkas and gloves at the abandoned small grocer/pharmacy nearly completely spoils my suspension of disbelief. All the sign language and sound suppression stays simple until activities later on. Non-frozen yet shivering tough footsies has an overlooked option ---- heavy socks (or perhaps ,light, rubber ballet-esque footwear). Stretching that a little deeper (spoiler hint), the exterior light footed movements in the forest and on the farm has more super sound suppression merit than interior movement. Hence, the visit to an abandoned town in snowy weather minus a warm sock hunt seems utterly foolish. An astute reviewer readily noted that their "paths" appear well worn and cleared. However, the same individual noted the discrepancy after venturing outside and around the house with one bare and one sock foot. Jumping forward, the endurance factor will become more of a significant premise element, when a painful nail becomes a treacherous trap. Since dinosaur dung and other entrapment avoiding, by Bryce Dallas Howard wearing moderate high heels in Jurassic World drew intense attention, she won't wear them in the next installment. Quiet Place 2 needs socks, shoe socks, ballet slippers, even Native American moccasins.... anything but 24/7 barefeet in snowy depths.